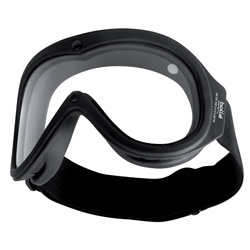 These are the goggle of choice in the fire-fighting services but also highly popular in any industry where extreme temperatures are encountered. 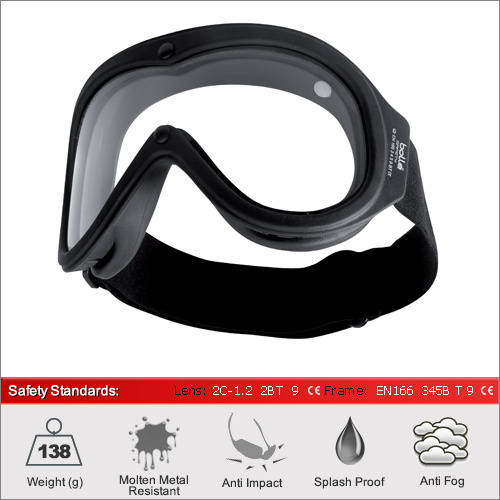 Many of our customers also buy this model as an all-round safety goggle and are willing to pay the extra for the impressive specification. These have been designed to not only to withstand Grade B impacts up to 120m/s, but under the European Standard EN166 they have a T9 rating to withstand impacts at extreme temperatures and also against molten metal. The frame is manufactured from a special Krayton Polymer which give it strength even at high temperatures without melting or disfiguring. A small cavity between the double lens design helps prevent misting and provides additional protection against heat and other hot vapours. The lens also gives full UV protection under Standard EN170. The frame achieves all three EN166 chemical protection grades against liquid, dust and gases.